Broadcasting legend Chris Wedes has passed away at the age of 84. 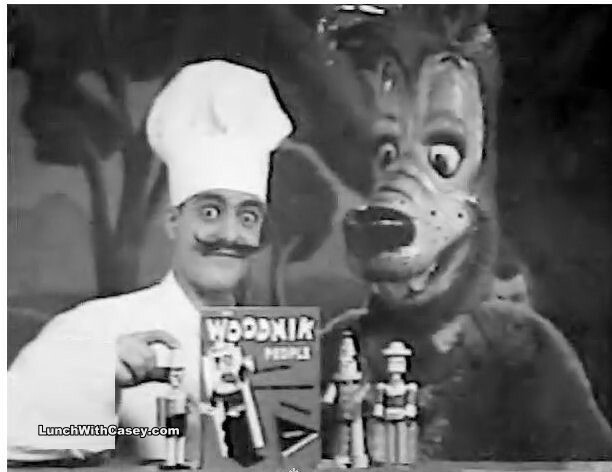 Twin Cities television viewers best remember him as Joe the Cook on the Lunch with Casey show during the early years of the program. 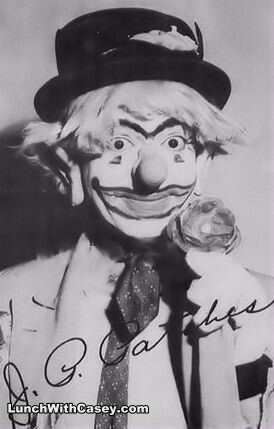 He took over the character of J.P. Patches on WTCN and moved to Seattle where J.P Patches entertained children on KIRO from 1958 to 1981. Chris Wedes was born in St. Paul, Minnesota in 1928. His family was Greek and he took over the family restaurant business while he was still in his teens. When he graduated from high school, he attended Macalester College where he was active in theater and radio. He became good friends with John Gallos who later became Clancy the Cop on WCCO and Roger Awsumb who went on to become Casey Jones on WTCN. Wedes served in the army during the Korean War, and when he returned the Minnesota, he joined a radio station in Mankato. In 1954, WMIN-TV merged with WTCN-TV and Chris Wedes found himself performing several different characters on various children’s shows. Steve Cannon had a Saturday show called “Wrangler Steve” and Chris became his sidekick named Chuckwagon Chuck. Jim Lange had created the role of Captain 11, and when he left for work in Los Angeles, Chris Wedes took over the Captain 11 show. Captain 11 featured old serials such as Buck Rogers. One of the popular programs on channel 11 was the J.P. Patches show. 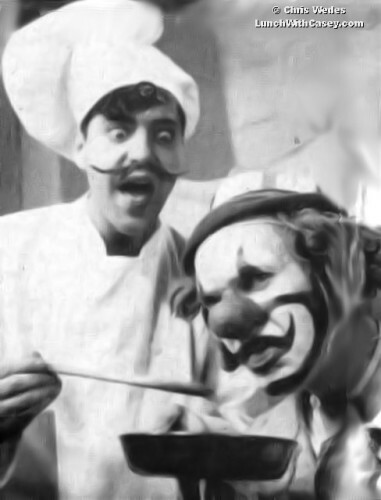 Daryl Laub played the popular clown and Chris Wedes would appear as Joe the Cook and other characters. 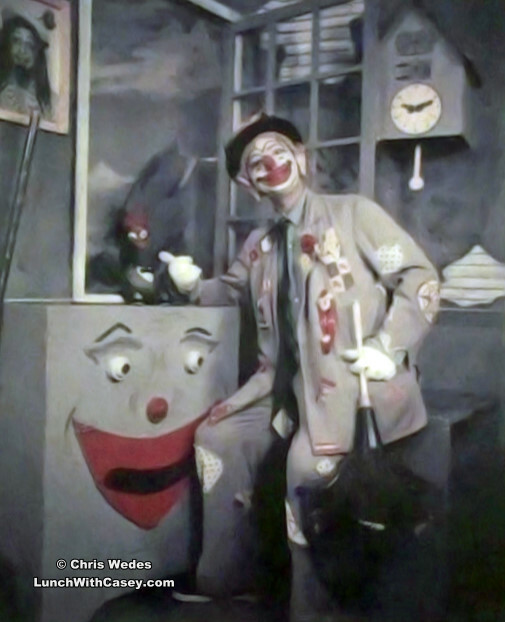 In 1955, Laub was lured away to KMSP, channel 5 where he became another clown named T.N. Tatters. The management of channel 11 asked Chris to take over as J.P. Patches, but he was reluctant to take on another character. 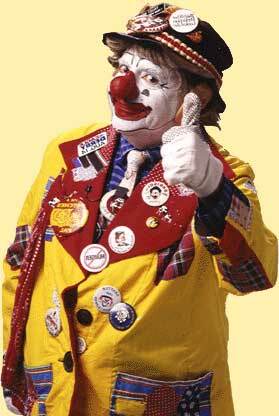 He was persuaded to become J.P. Patches (or threatened if he didn’t, depending on the story) and a legend was born. Chris Wedes and Roger Awsumb would make many personal appearances throughout Minnesota. One of the largest was at Excelsior Amusement Park where they would entertain as all of their different personalities. Roger would take the stage as Casey Jones, joined by Joe the Cook. Roger would run off stage and put on the Roo Roo the Kangaroo costume. When he returned to the stage, Chris would run off and put on his J.P. Patches make-up. Roger and Chris also made many personal appearances at Queen Anne Kiddieland. 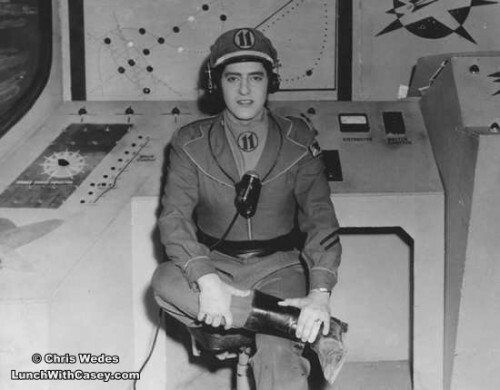 In 1958, Chris Wedes was offered a show at KIRO, the new television station in Seattle, Washington. His last show with Casey Jones was a sad day for everyone at channel 11. Roger Awsumb and Chris Wedes had been long time friends, and the entire staff at WTCN were a large family. Chris said that he tried to make Casey laugh, but director Al DeRusha said everyone was in tears. In Seattle, J.P. Patches became a megastar. The J.P. Patches show featured the usual cartoons, but it was the zaniness of J. P. and his pal Gertrude, played by Bob Newman. The program ran until 1981 and Chris Wedes continued to make personal appearances until he retired in 2011. Throughout his career, Wedes worked to raise funds for Children’s Hospital in Seattle and would frequently visit children there. Kids that grew up watching J.P. Patches were known as “Patches Pals” and J.P. would anounce their birthdays through his magical “ICU2TV.” In 2008, a statue of J.P. and Gertrude was unveiled in the Fremont district of Seattle. Chris Wedes made his final appearance as J.P. Patches on September, 2011. He is survived by his wife Joanie, and thousands of Patches Pals.